Roy Hodgson has constructed a strong, well-organised Crystal Palace side, but as an attacking entity they lack imagination and a cutting edge. The Eagles have found it difficult to find the net this season. Their five goals is the second-lowest return in the Premier League and they have drawn frustrating blanks in all four of their matches at Selhurst Park. To stand any chance of upsetting an in-form Arsenal this Sunday they must improve in this area and increase their lowly 6.8 per cent conversion rate. 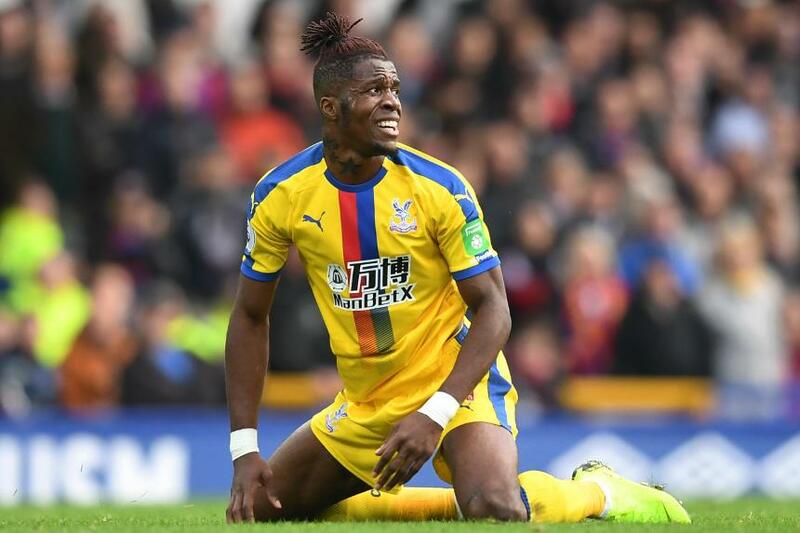 While it may appear to make sense to use the lively Wilfried Zaha and Andros Townsend as a strike partnership, given their pace and movement, that strategy has its drawbacks, as we saw against Everton last time out. The pair tend to get sucked towards their more natural habitats out wide, thereby emptying the penalty area when balls are delivered into the danger zone. Neither attacker is a specialist in the air either, which places extra responsibility on central midfielders Luka Milivojevic and James McArthur to make runs into the area, which is not their forte. Palace have missed a target man who attacks crosses. Until recently Townsend was being selected as a wide man, with either Christian Benteke or Jordan Ayew assuming the striker role, but both centre-forwards have struggled to find form. Ayew has failed to register a shot on target in five starts, while Benteke has passed up a series of chances. Neither player has scored a Premier League goal in 2018/19. With the exception of Benteke, Hodgson's forwards are not firing enough efforts on goal. The formula is not quite right. Part of Palace's problem is a lack of productivity on the left-hand side. Hodgson has shown consistent faith in full-back Patrick van Aanholt and winger Jeffrey Schlupp; a well-balanced duo who work hard down that flank. However, they have contributed only three accurate crosses and five key passes between them all season. By contrast, on the opposite side, right-back Aaron Wan-Bissaka and Townsend have produced a combined 15 accurate open-play crosses and 17 key passes. As a result, the route of Crystal Palace’s best attacks has become predictable. The Eagles are still missing a player capable of unlocking defences with a clever pass. They have pace in abundance, and Townsend is one of the division’s best crossers. The former Spurs wide man has made the third-most accurate open-play deliveries. However, they lack a playmaker. Perhaps this is the role that will eventually be given to Max Meyer. The 23-year-old German has only made fleeting appearances this season, but in 174 minutes of action he has laid on five chances at a rate of one every 34.8 minutes. Extracting the best from Meyer, and one of his centre-forwards, could be the answer as Hodgson tries to ignite Crystal Palace’s campaign.